On concept alone, Hazelight’s A Way Out deserves hearty applause. 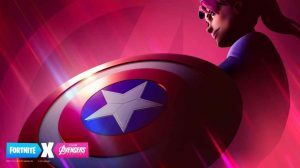 A co-op narrative-driven title where you both essentially act out your own separate parts of the story, whilst occasionally being drawn together for certain segments? Fantastic! That it starts off as a prison escape story? Even better. Of course execution of said concept has to be well done for any of it to matter. So does A Way Out have the chops to match its ambition? 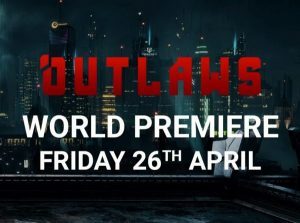 It helps that Josef Fares, the man whose project this is, has already experimented with ways of controlling two protagonists in a cooperative fashion. With his last game Brothers: A Tale of Two Sons, Fares assigned each of the titular brothers to their own analogue stick. Here, thanks to a sound decision to allow players to play online with a friend who doesn’t own the game, the entire focus is on playing A Way Out as a cooperative experience. No shoehorning in a singleplayer variant for this game, this is 100% a game to play with someone else, and it shows in the game’s design. But I’m getting ahead of myself here. 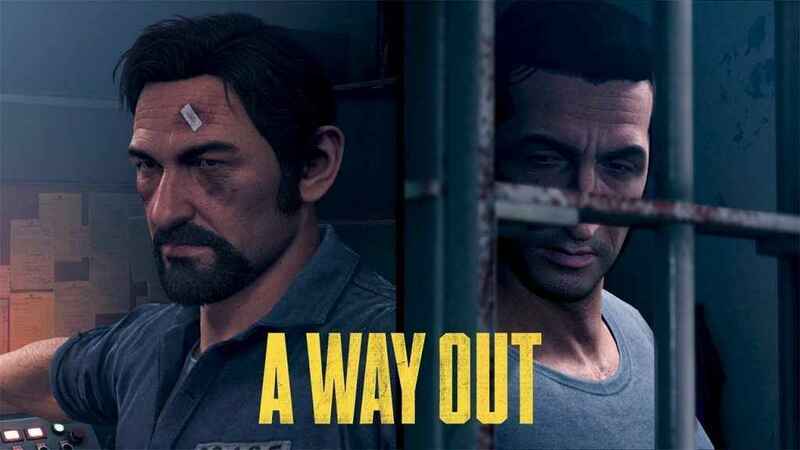 A Way Out sees you (and a friend) taking on the roles of two prisoners. The methodical, mildly sensible Vincent, and the hot-headed and quick-witted Leo. The game begins with an establishing chapter for the pair’s incarceration. Leo is already in prison for armed robbery and assault when Vincent arrives (he’s in for fraud and a murder). A Way Out gently eases players in during this opening. It lets you do things at your own pace if you so wish, but there’s a certain satisfaction to syncing up story beats. Leo and Vincent are somewhat two-dimensional as characters for much of the game’s runtime, but this appears deliberate. There’s just enough blank space for you and your real life partner to role play the characters and their actions. Sure, you could take a step back and criticise the trope-ridden nature of their backstories, and eye-rollingly obvious personality traits, but it’s far easier to find yourself invested in the teamwork and reluctant camaraderie of Leo and Vincent as you work together in carrying out their shared plans. The prison sections are merely the prologue for what’s to come (filled with a fair few QTE’s for my tastes). The pair plan a prison escape, and seek vengeance on those that wronged them on the outside. It’s a fairly tried and tested story. Yet again though, it’s easy to forget the lack of innovation found in the story, because there is such innovation in the use of co-op play. 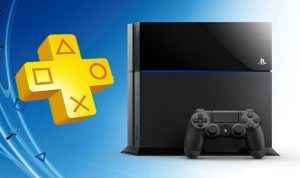 And in case you hadn’t picked up on it yet, that co-op play is absolutely magnificent. Players have a bit of freedom of interpretation. Yet the story also smartly forces choices that create discussion in real life about how best to proceed. No matter how significant or trivial the manner of cooperative play, it all feels so very meaningful. There’s an unprecedented level of player connection to something as simple as playing a game of Connect 4, so you can imagine how joyful pulling off more explosive set piece moments must feel. What keeps things interesting in this co-op play is the sheer amount of variety to what A Way Out throws at you. One moment it’s catching fish from a river. The next it’s a daring car chase complete with a gunfight out of the window. The pace and mechanics shift and change without ever really becoming jarring. Bar the odd part of the intro, no gameplay section ever feels like it outstays its welcome. More importantly, every segment is a perfect fit for the co-op ethos of A Way Out. The only real downside is control of the characters can be a touch woolly at times, making for the odd aggravating moment where time is the factor. stealth was especially an issue once or twice, with our prison boys not gelling with the concept of sticking to the wall to stay out of sight. Still, it didn’t result in instant punishment, it was just a noticeable gripe in an otherwise great game. A Way Out’s sense of style blends into this ethos. In rare moments where both characters aren’t on screen together, smart tracking camera shots shoot between the scenes, keeping both players engaged. You’re never kept out of the action for long, but it helps that the game attempts to keep you involved even during downtime. If you’re not in control you’re supposed to be paying attention to what’s going on with the other player, because it will give you a heads up as to what you might have to do next. The split screen itself also shifts and changes depending on the action, and remarkably, it works almost every time. 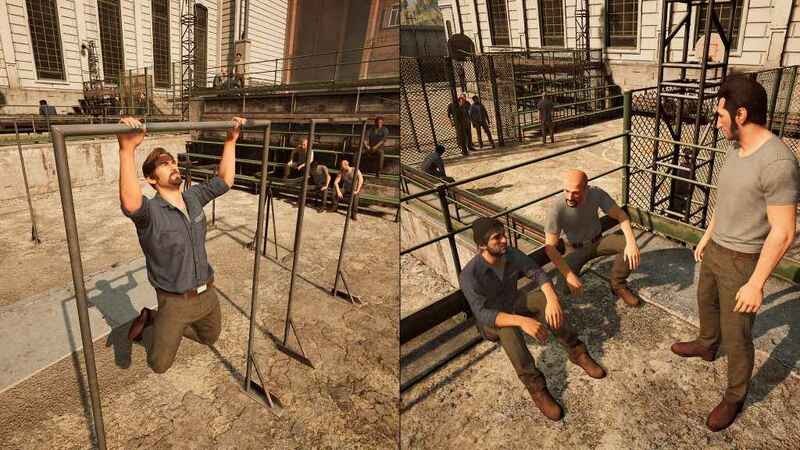 It’s clear that Hazelight have really gone all in on making the co-op experience of A Way Out truly be one of a kind. Truth is, I can wax lyrical about why it works for ages. Yet the only way to truly get how novel, how confident, this co-op play can be is by experiencing it. A Way Out is a little rough round the edges in terms of story and character development. It sometimes makes the game appear as more of an experiment for testing this co-op concept. Still, what an experiment it is, and I suspect the building blocks that Fares and his team have provided within A Way Out will be used in more than a few games in the future. With ambition comes imperfections. 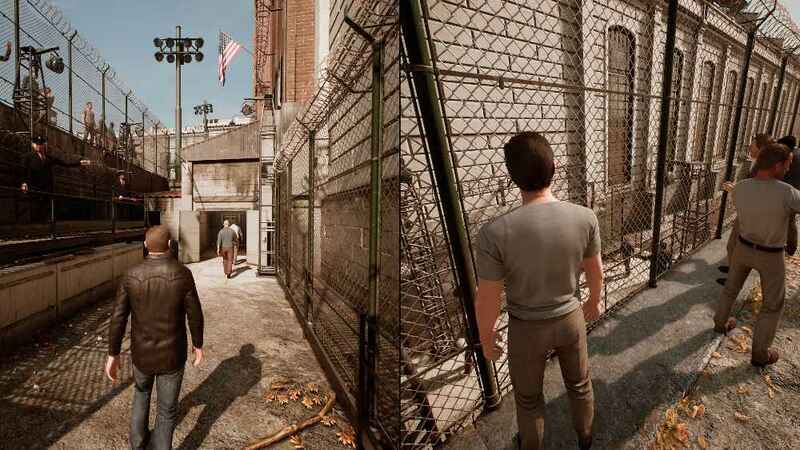 A Way Out is the sort of game that has benefited massively from being given the room to express its own mechanical ambition.